I know what you’re thinking: “it’s not even summer, yet!” This is true, but, as long as the sun is out, you need to protect your little's sensitive skin! Plus, before you know it, the Easter holidays will be here, after which the beautiful Spring and summer months will be at your door, with blazing rays of Sun. Here are few pointers on how to protect your child from the sun. 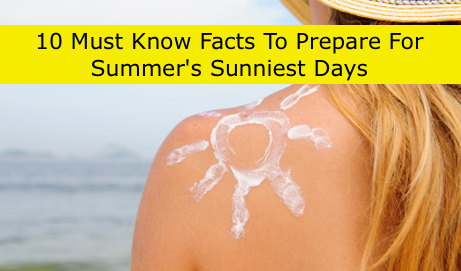 To help you better understand what all that crazy info on a sunscreen/sunblock bottle is, here are 10 Must Know Facts To Prepare For Summer's Sunniest Days. 1. Did you know, Sunblock and Sunscreen are two entirely different things? Sunblock- Completely BLOCKS the suns rays. Sunblocks utilize titanium oxide or zinc oxide as the active ingredient, which results in a thicker, opaque consistency. 3. Dermatologists recommend using a sunscreen with a Sun Protection Factor (SPF) of at least 30, which blocks 97% of the sun’s rays. Higher number SPFs block slightly more of the sun’s rays, but no sunscreen can block 100% of the sun’s rays. 4. 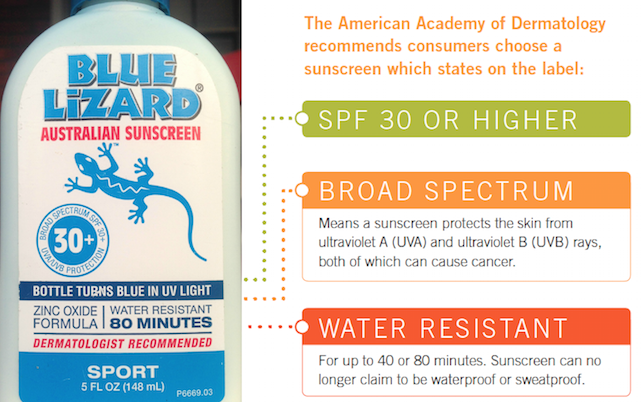 Broad-spectrum means the product protects against UVB and UVA radiation. 5. Water proof vs. water resistant How well the sunscreen stays on the skin after swimming, bathing or perspiring is just as important as the SPF level. 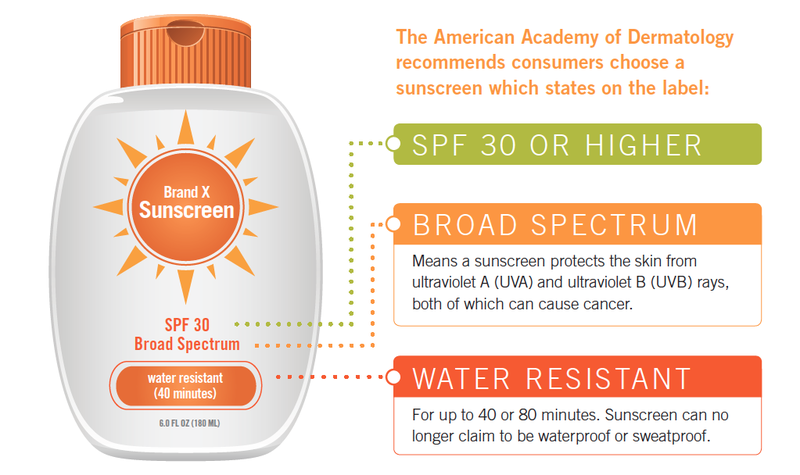 Water-resistant: The FDA considers a product "water-resistant" if it maintains its SPF level after 40 minutes of water exposure. Waterproof: A product is considered "waterproof" if it maintains its SPF level following 80 minutes of exposure to water. If you participate in outdoor recreational activities including swimming, you may want to choose a waterproof sunscreen. 6. 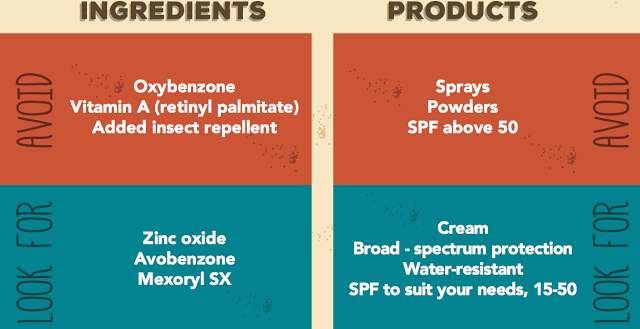 Sunscreens should be used daily if you are spending more than 20 minutes outdoors. Even on cloudy days, up to 80% of the sun’s harmful UV rays can penetrate your skin. 7. The Sun’s rays are strongest between 10pm and 2 pm. Water Sand and Snow magnify the sun's rays by up to 80%! Skiers beware, ultraviolet radiation increases 4 percent for every 1,000-foot increase in altitude. 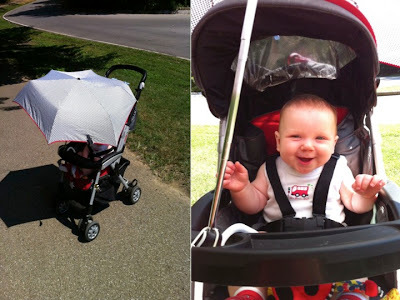 I used an umbrella on my son's stroller for years! 8. Most people can fulfill their vitamin D requirements of 600 IU or 15mcg per day with normal daily outdoor activities amounting to five to 30 minutes twice per week. Don't bother doubling up either, prolonged exposure exposes your skin to harmful rays. 9. Apply sunscreen/sunblock 30 minutes before sun exposure to give your skin ample time to soak up the sunscreen. 10. People of all skin colors get skin cancer. More than 3.5 million skin cancers in more than 2 million people have diagnosed annually. Many of these skin cancers could have been prevented with protection from the sun’s rays. My last, and best tip, to always stay prepared for summer's sunniest days, stock up on a supply of sunscreens in all different shapes and sizes. Travel sizes and samples are great for stashing in your handbag or diaper bag!